Carina Baby Bubble Bath scented with the essence of the sweet pea flower this is an extra gentle and tear free. 250 ml. Carina Organics Unscented Baby Bubble Bath. This is an extra gentle and tear free bubble bath. 250ml. Carina Unscented Baby Lotion. Formulated specifically for a baby’s sensitive skin. 250ml. 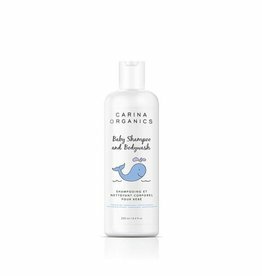 Carina Organics Baby Shampoo and Bodywash is extra gentle and tear free. 250ml. 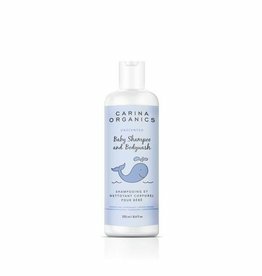 Carina Organics Unscented Baby Shampoo and Bodywash is extra gentle and tear free. 250ml.